Brush Head Replacement postage for $7.00 only (quantity based). 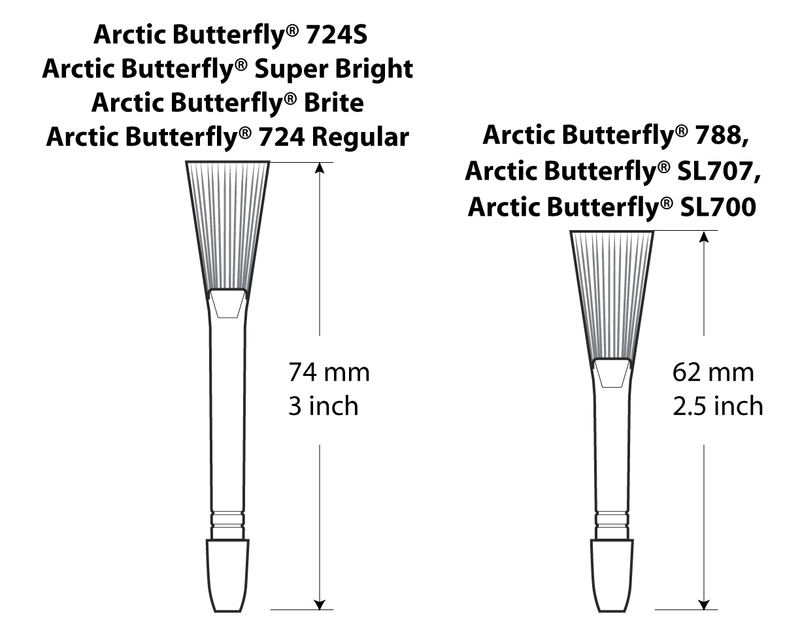 Pull out the attached Sensor Brush Head from the Arctic Butterfly® 724 base. Don’t touch fibers with fingers. Take out the Head Replacement from the case and insert it to the Arctic Butterfly® 724 base making sure it is tightly attached.